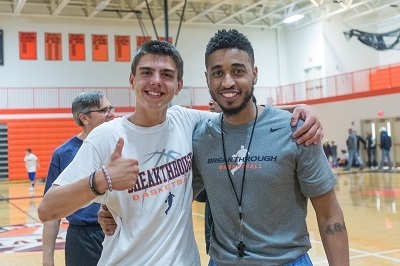 Breakthrough Basketball conducts quality, high-intensity, drill based camps that focus on not only bettering a players skill set on the court but also building character and confidence off the court. These camps will strengthen your athletes mentality while boosting their confidence to become more aggressive and skilled players. Our camps will provide a focused, fun learning environment that cannot be rivalled. Our coaches passion is reflected with an average rating of 9.2 on a 10 point scale from our 2017 satisfaction surveys. You can see what people are saying about us here on our testimonial page. 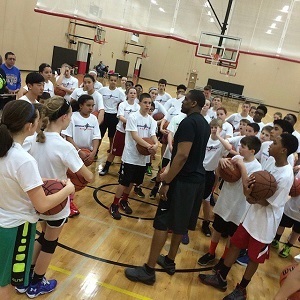 You'll find a variety of different camps for all age levels, skill levels, and positions that will help players improve shooting, ball handling, decision making, aggressiveness, footwork, leadership, and more.